I wasn’t sure what I was expecting when I first walked through the doors of the new Rise ‘n Roll Bakery store on the north side of Warsaw. The dealers responsible for the “Amish Crack” epidemic overtaking our region had decided that Warsaw, affectionately known as ‘the Saw to anyone who cares, would be its next target market. Previously only available via fundraisers, jaunts to communities outside the confines of the county and other various pop-up outlets, Rise ‘n Roll made the decision to open a permanent donut dispensary to dole out their wares in K-County. 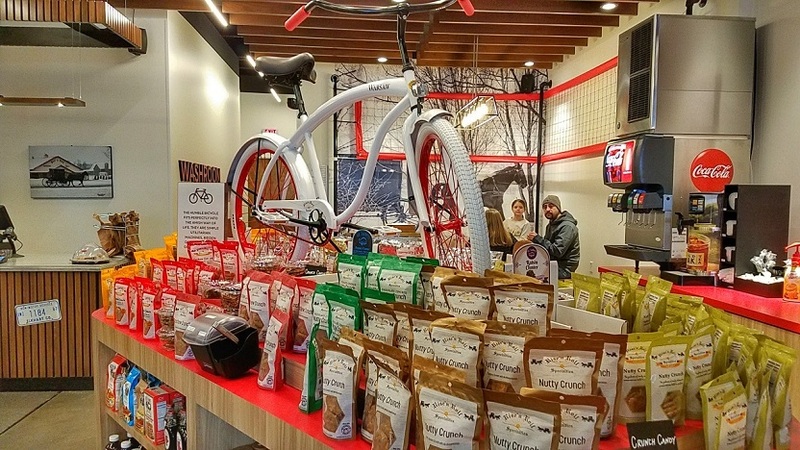 Recognizing a market filled with white powder-covered addicts feinding for a fix of their cinnamon caramel donuts, Rise ‘n Roll opened their Warsaw store earlier this year. I finally found myself pulling up to a parking spot outside this dandy donut deli. Keep in mind that I was used to Wabash Donuts and its location in a former party supplies/printing shop (maybe? ), its nondescript storefront overshadowed by the shiny new gas station to the north and the just shuttered/reopening gas station to the south. Filled with orange tables left over from another decade and nothing much else, the meager surroundings belied the delightful confections being served by the lovely ladies manning the counter. Rise ‘n Roll, on the other hand, had no similar compunction – they were there to serve up donuts to the masses and they wanted the world to know about it. 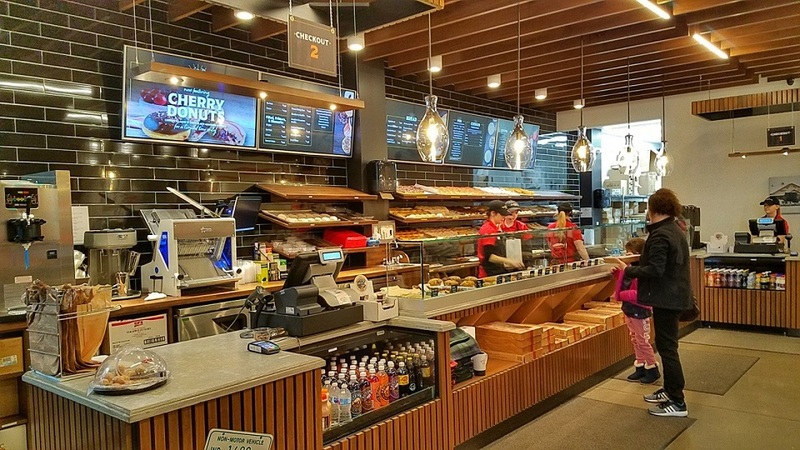 Try to recall the nicest Dunkin’ Donuts you’ve ever visited and imagine putting that store on a steroid regimen for a year. That’s the new Rise ‘n Roll store in the ‘Saw. Offering up every imaginable take on donuts you can think of, the store is there to impress. If “bright and shiny” could be brought to life as a donut shop, it would be Rise ‘n Roll. They’re not afraid to show off their wares, either. The assorted donuts tease you from behind a brightly lit “so clean as we just wiped it down because everyone keeps drooling on it” display case, an brightly lit altar to the pretty round things with holes in them that make everyone’s morning better. Digital displays lord over everything, making sure you know exactly what is on the menu while serving up a reminder that you might have just forgotten to order something really tasty. Don’t forget – this place is a full-fledged bakery so they’re more than just about donuts. Offering everything from cakes to cookies and jellies to jams, Rise ‘n Roll gives you plenty of excuses to order something tasty. For those of you who just want to stay around a little longer and enjoy your fix on scene, there is convenient seating offered next to the front windows, offering you a chance to munch away at your latest find while the hordes line up outside waiting to order. Time to get in line. This fiend needs his fix. 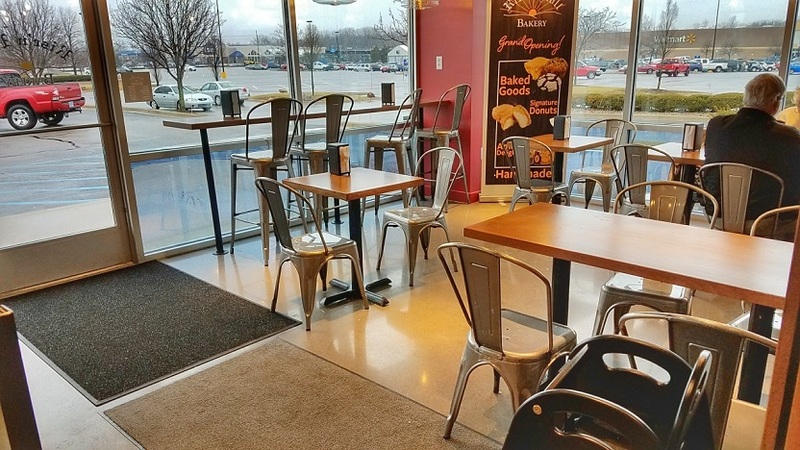 You can stay up to date with Rise ‘n Roll’s new Warsaw location by liking their Facebook page. You can also follow their main corporate Facebook page along with pages for their other locations in the state which include Middlebury, Ft. Wayne, Mishawaka, Nappanee, Valparaiso and Greenwood.